More than 800 million tons of topsoil blew away in a single year during the Dust Bowl. In response, farmers planted trees, irrigated crops and changed plowing techniques to prevent another Dust Bowl. But they kept plowing, planting wheat, tilling again, and planting more wheat in the same spot — a cycle known as conventional mono-cropping. Ray Archuleta is an agronomist with the U.S. Department of Agriculture's Natural Resource Conservation Service. 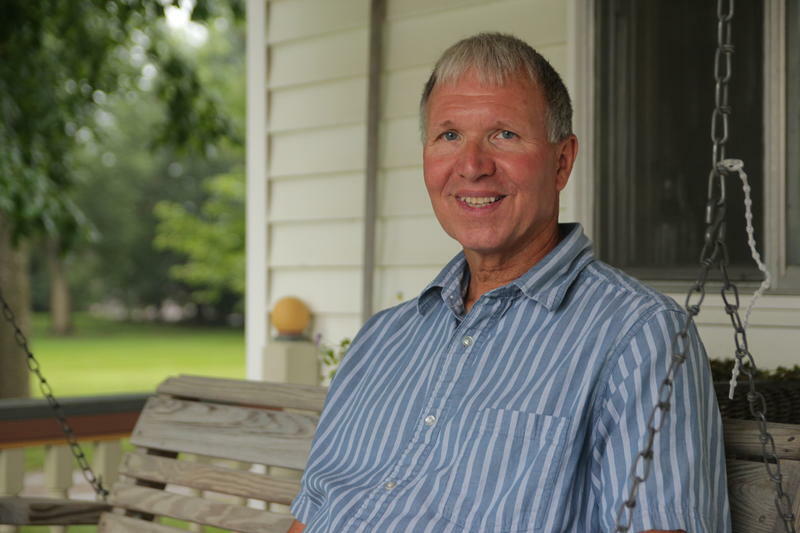 Part of what he does for a living is dig holes to study soil health across the country. Plowing up ground can help farmers deal with pests or control weeds. But tilling also excites bacteria that eat the organic matter in the soil plants thrive on, which destroys root and worm pathways that allow moisture to penetrate the ground, he says. Over time, the soil dies, and only more land — and more fertilizer — keep crops growing. The solution is to stop tilling and rotate cash crops with cover crops — assortments of local plants that cover the field and restore organic matter into the soil when they die. Think of it as large-scale composting. Archuleta calls it farming in nature’s image. Shearer, the Slapout farmer who also works for the Oklahoma Association of Conservation Districts — which promotes modern farming practices that preserve soil health — says moving away from that natural system is killing Oklahoma’s once-fertile soil. A century ago, Oklahoma farmers were plowing soil that contained between 3 and 5 percent organic matter, Shearer says. Today, soil in many parts of the state can have as little as 1 percent organic matter. 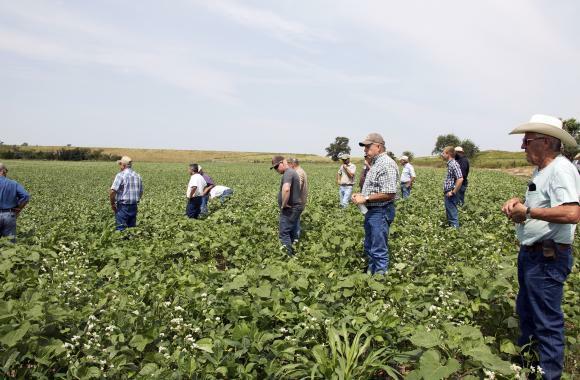 Shearer and dozens of farmers attended an August workshop held by the Oklahoma Conservation Commission. The event, on a Dewey County farm near Leedey — a blip on the map with 435 residents — was organized to encourage the adoption of more sustainable farming practices. Agency staff and early converts gave details on the benefits of rotating no-till wheat with cover crops. Attendees like Roger Ommen were eager to learn more. Ommen, whose farm is a mile outside of Leedey, just planted his first cover crop. The benefits of no-till and cover crops abound. The soil stays cooler and retains water better. In many cases, crop yields and quality go up, and farmers can produce more crops with less land. Still, there are hurdles to making the move away from traditional farming. New equipment is expensive and the transition takes time. And old habits die hard. Right now, 75 percent of country’s cropland is tilled, and less than 1 percent have cover crops. Farmers and agriculture officials are gearing up for another round of bird flu this fall, an outbreak they fear could be worse than the devastating spring crisis that hit turkeys and egg-laying hens in the Midwest, wiped out entire farms and sent egg prices sky-high. 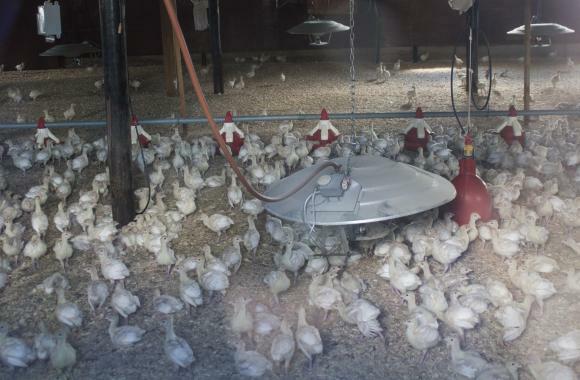 The potential target of the highly pathogenic avian flu this fall could be broilers, or meat chickens, as the outbreaks have been triggered and carried by wild birds, which will be flying south in great numbers this fall through several U.S. flyways. Nilvio Aquino weaves through a tangled jungle of marijuana plants at an indoor grow facility in Denver. “Throw your nose in there. 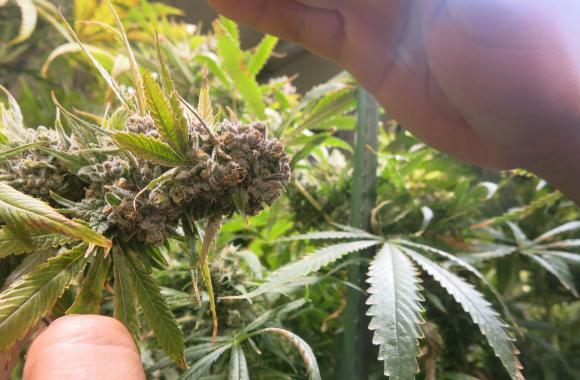 It’s nice and pungent,” he said, pulling a seven-foot tall plant down to nose height at one of the company’s grow facilities. Aquino, the lead grower for Sticky Buds, a chain of marijuana shops in Denver, is in his element among the plants. He’s like a proud gardener showing off blue ribbon varieties, bustling from plant to plant, picking out his favorites.